The country's turkeys are facing a powerful virus that's already resulted in the deaths of nearly a million birds. A virulent flu is spreading through factory farms at a rapid rate, forcing workers in Minnesota, the largest turkey-producing state, to euthanize over 525,000 birds, The New York Times reports. Dubbed "highly pathogenic avian influenza," the flu is thought to have originated in British Columbia, Canada, and been carried to the U.S. on the feet, feces and feathers of migrating Canada geese. 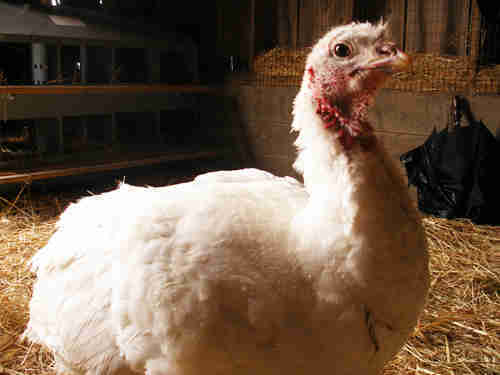 Farms in Arkansas, California, Kansas, Minnesota, Missouri and South Dakota have all reported cases in their turkeys. So far, the total number of farms infected in the Midwest alone is 15, with 9 in Minnesota, AP reports. 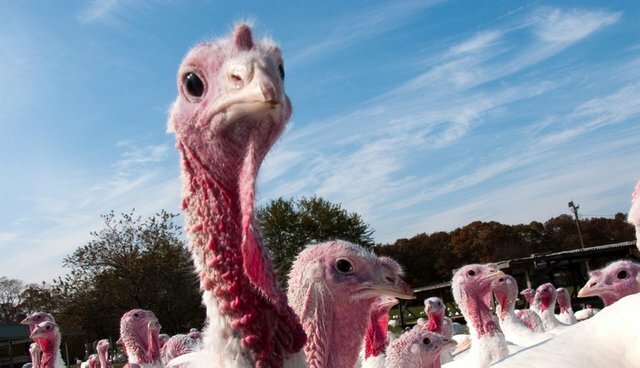 The U.S. Department of Agriculture has identified two viruses that have infected the turkeys: the H5N2 virus and new H5N1 virus. These are not the same viruses that have caused human illnesses and deaths, and the Centers for Disease Control considers the risk of human infection low. Conditions on factory farms make it particularly easy for viruses to spread. 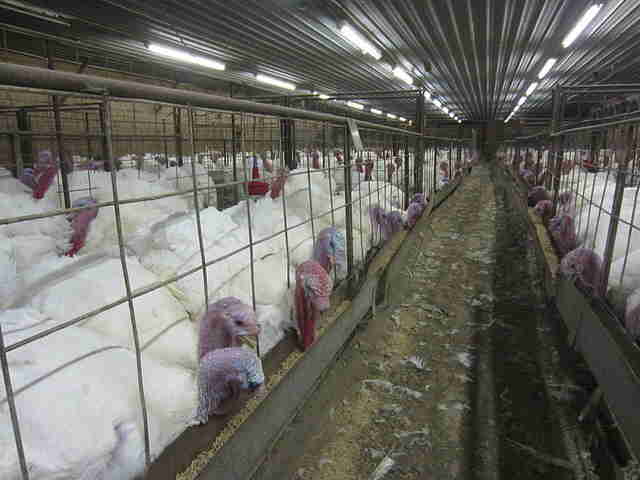 Because turkeys and other poultry are not covered under federal humane protections for livestock, they often experience overcrowding in poorly-ventilated facilities that can make illness spread through the flock like wildfire. There are sometimes a whopping 10,000 birds crammed into just one facility, with each bird given a measly 4 square feet of room. The number of birds felled by the virus is still unknown, though The New York Times estimates some 1 million of the country's annual 240 million to 270 million flock of turkeys have been fatally hit. Farmers have been quarantining birds who catch the virus, and using preventative measures like washing boots and tractor wheels to prevent contamination. But until the entire system of factory farming is changed to reduce overcrowding and the spread of disease, outbreaks like this one will be unavoidable.